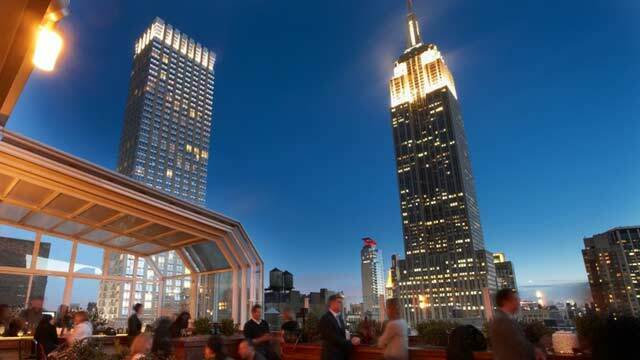 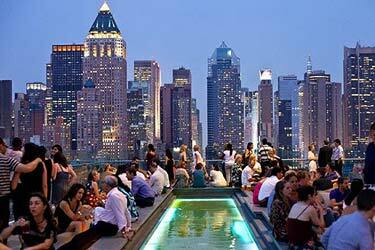 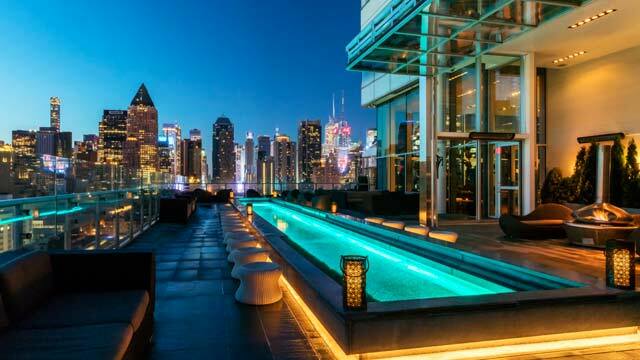 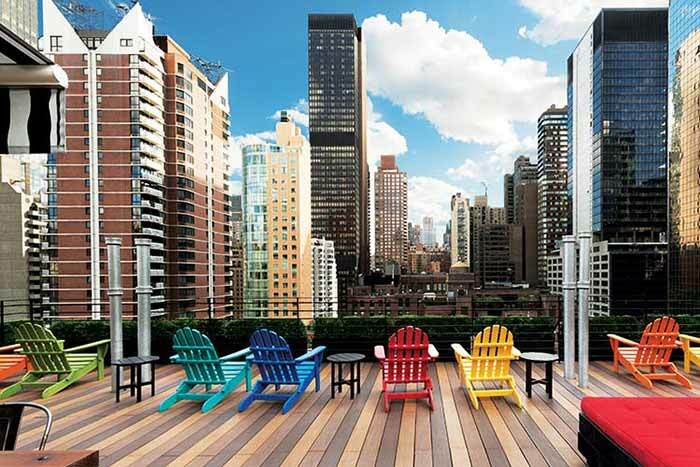 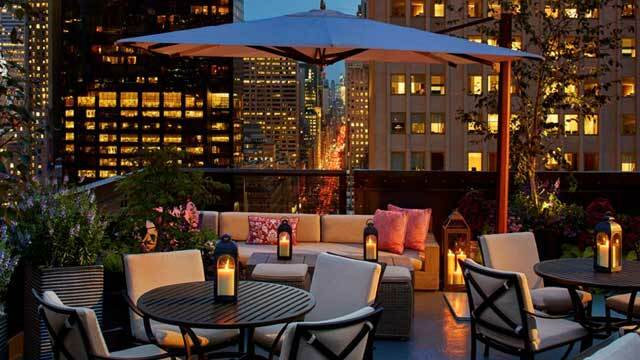 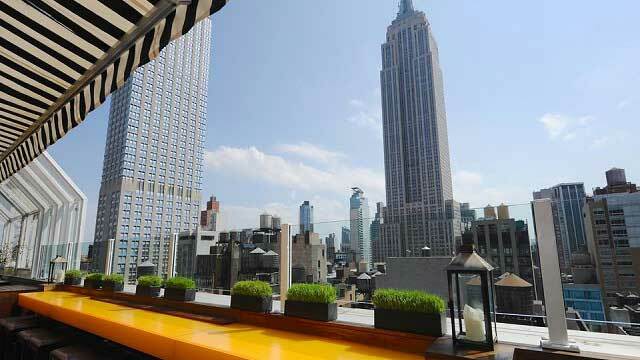 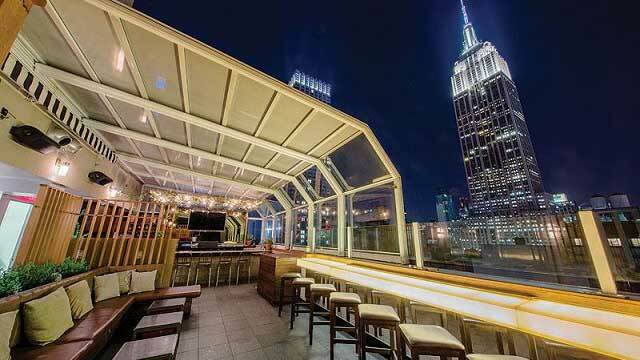 Top of the Strand NYC is perched on the 21st floor of the Marriott Vacation Club Pulse in Midtown Manhattan, and considered as one of the best rooftop bars in NYC open year round. 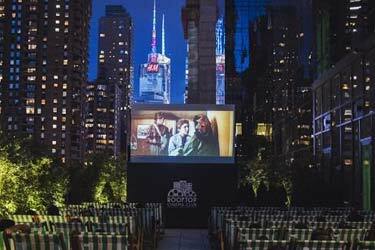 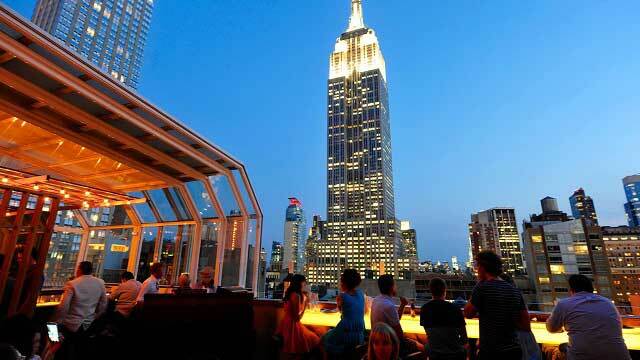 A retractable glass roof makes it a great nightly destination both in summer and winter, and the front row views of Empire State building are always available. 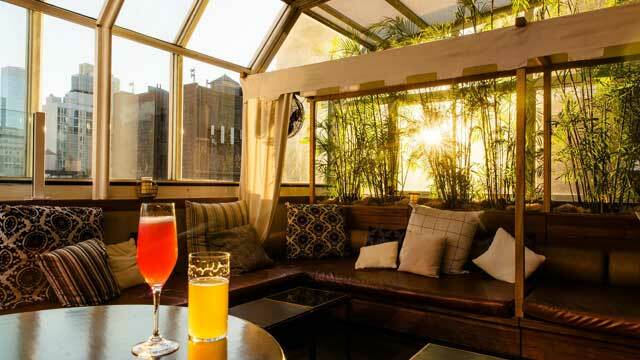 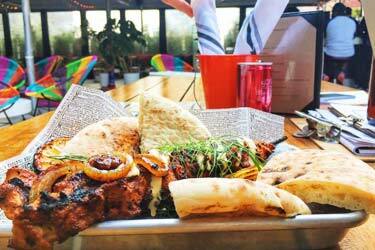 The rooftop patio is not very big, but offers an intimate setting, with pillow topped benches, bar stools at the edge, all surrounded by palms and other greenery. 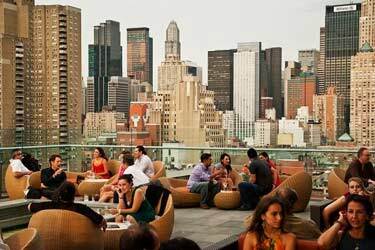 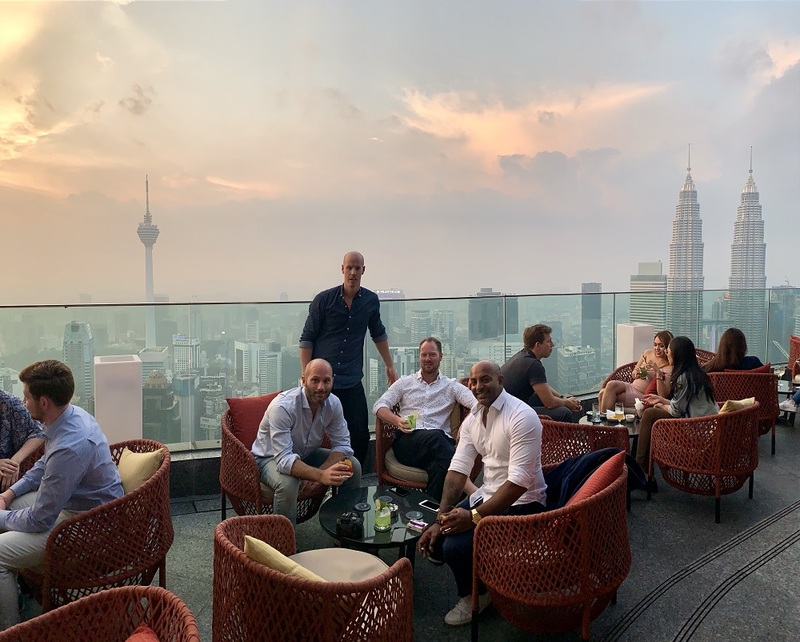 Really an urban oasis in the heart of town, perfect for pre- or post dinner drinks with some close ones. 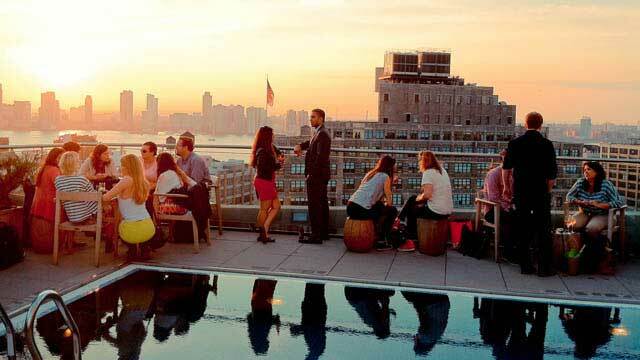 The Strand rooftop bar offers well-made signature cocktails, beers, wine and some tasty light fare. 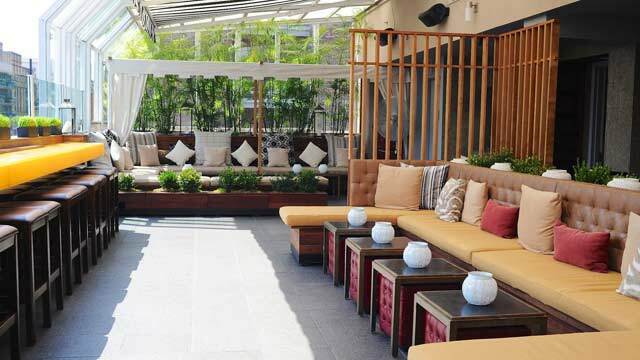 The atmosphere is towards upscale but very friendly and relaxing, and there is usually a DJ creating an extra chill lounge vibe. 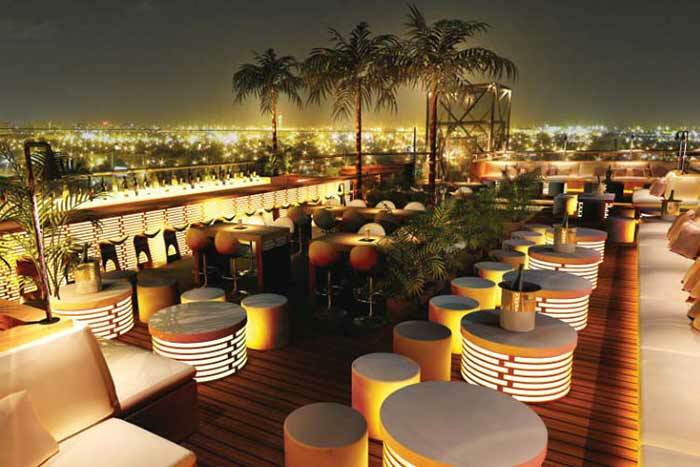 The Top of the Strand dress code is smart casual, so leave the flip flops and tank tops at home.